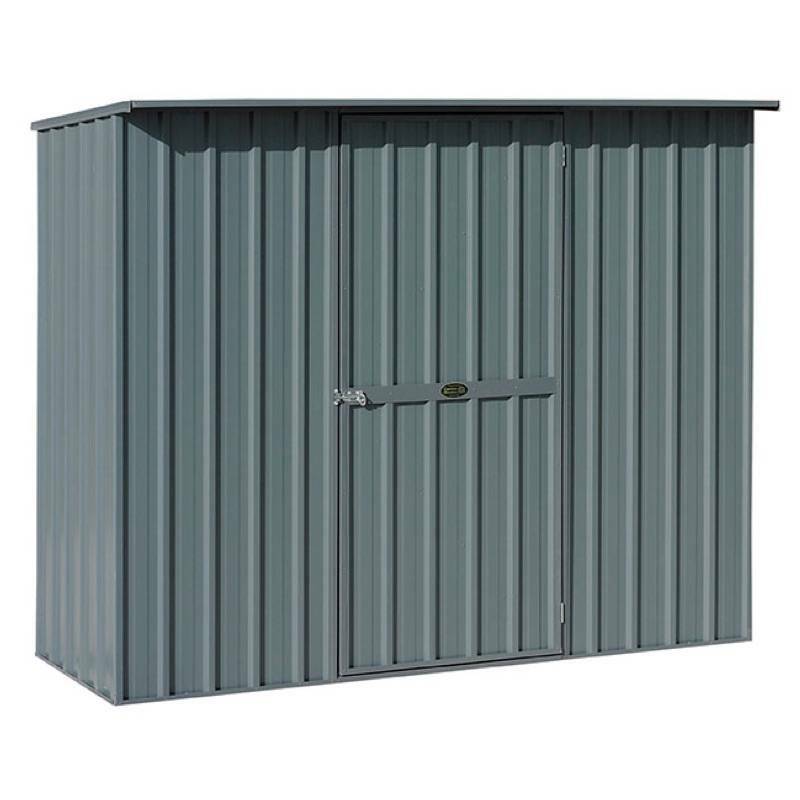 2.28W x 0.78D x 1.83H (low side) sloped roof garden shed with single door in the middle of the front wall. 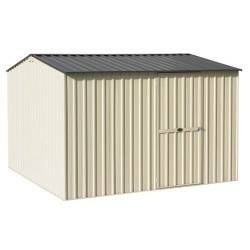 Nice and wide and not too deep. 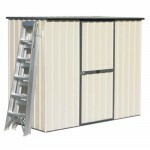 Great shed to use along the fence in a narrow space. 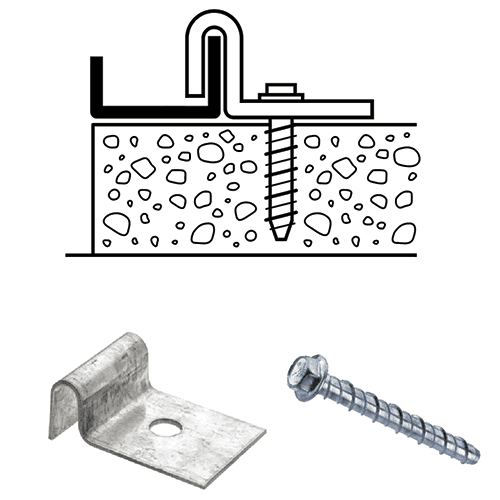 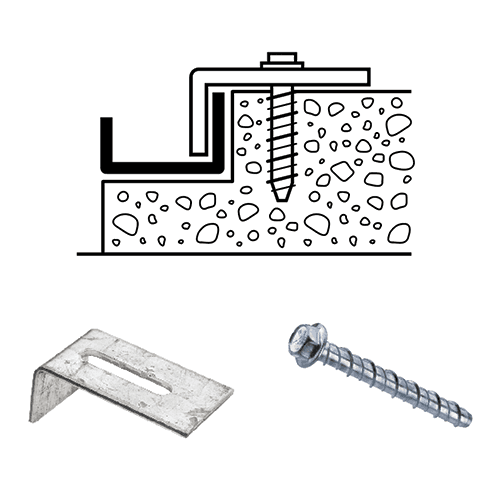 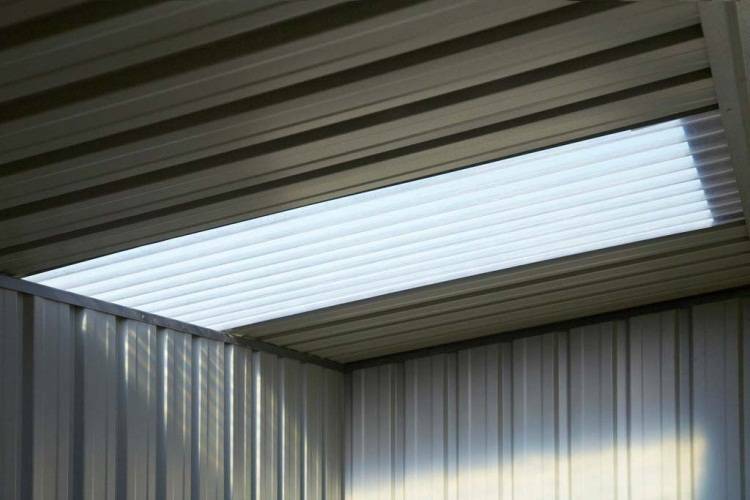 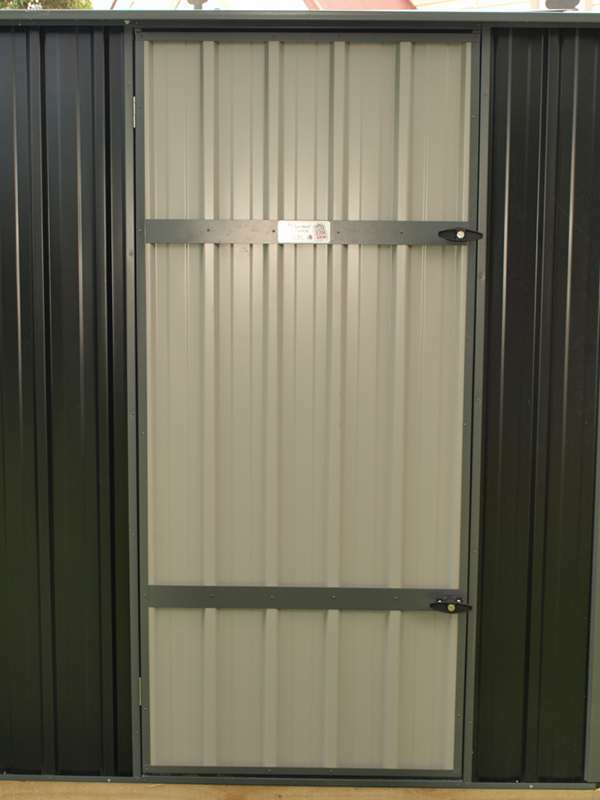 If space is really tight we can also move the door to the end wall for a small extra charge. 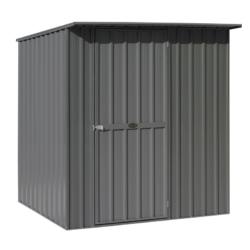 As these garden sheds are made to order, we can do almost anything you want – including some extra wall height for those really tall people out there. 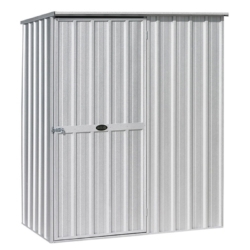 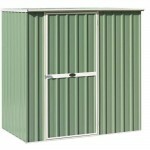 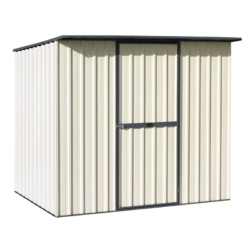 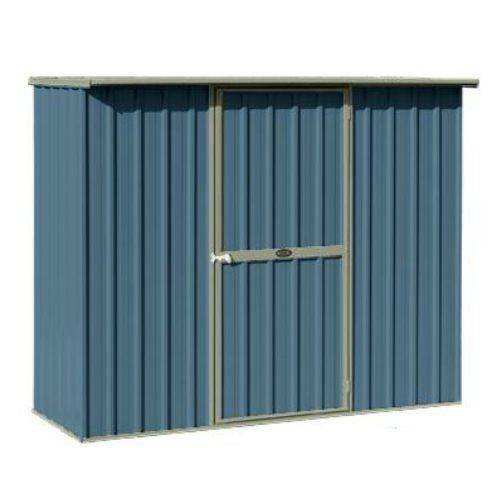 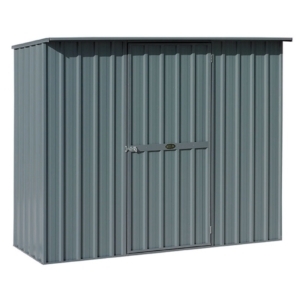 A 2.3 x 0.8 metre flat roofed kit set garden shed available in zincalume or a wide range of coloursteel colours.